Here comes another post on ethics! This one is, I must admit, somewhat meta-ethical, despite my recent post about the limited value of meta-ethical discussions when it comes to debates in first-order ethics. As I pointed out in the discussion that followed that essay, it’s not that I don’t think that meta-ethics is interesting, it’s just that it shouldn’t be used as an excuse for refusing to get down and dirty about actual everyday moral questions. At any rate, what I’d like to do here is to explore a bit more of my own preferred framework for ethics, neo-Aristotelian virtue ethics (the “neo” prefix should alert the reader that I’m not about to defend everything Aristotle said, but rather discuss an updated version of the idea, based of course on his original insights). Specifically, I want to focus on the concept of virtue and the work that it can do in moral philosophy. Before we get into the details, however, let me remind you of the basic stuff. First off, for the ancient Greeks the fundamental ethical question was not “what is right or wrong?” but rather “what sort of life should I live?” This shifts the emphasis from a societal, universalist, conception of ethics to one that is more personal (although the social context is always very much in sight); it also changes the sort of answers that are acceptable, since we are moving away from ethical judgments about individual actions and toward ethical consideration of one’s character and entire life. This different approach is based on the idea that if one has a right character then one will (likely) do the right things, which seems plausible to me, if there is any content to what the ancients referred to as phronêsis, or practical wisdom. 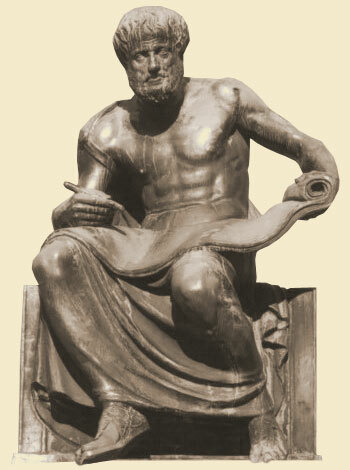 Aristotle was a keen observer of human nature, so he realized that being able to live a eudaimonic (i.e., morally virtuous) life is not just a matter of personal effort, but also of circumstances: one has to be lucky enough to be generally healthy and of sound mind, grow up within a supportive family, and be nurtured and educated early on by society at large. Failing any or all of this it will be impossible, or at the least extremely difficult, to be virtuous. This, again, strikes me as about right, and much more reasonable than the kind of impersonal view of morality that is embedded in systems such as utilitarianism and, particularly, Kantian deontology. That said, what did Aristotle (and his more recent followers) mean by virtue? Certainly not what, say, Christians typically mean by that word. Concepts like purity and faith just don’t enter into the virtue ethical framework. Rather, for Aristotle a virtue is a character trait that, if cultivated, leads to a eudaimonic life. Typically, virtues are defined as a balance between extremes. For instance, courage is somewhere between rashness and cowardice. It has to be noted immediately that “somewhere between” doesn’t mean exactly in the middle. This isn’t an exercise in arithmetic. Where is the virtuous middle, then? It is a matter of commonsense, and the more wise a person is the more s/he will be able to find the right way. If this sounds vague, get used to it. A major criticism — but also a major advantage — of virtue ethics is precisely that it is flexible, leaving room for maneuvering around the complexities of human nature and circumstances. Of course, one doesn’t have to buy into this particular list, and indeed several others have been proposed. There is a useful Wiki entry on the history of the concept of virtue that I think makes clear two apparently contrasting things: on the one hand, there is (predictably) cultural and historical variation about what counts as a virtue (as the above mentioned case of Christianity clearly shows); on the other hand, there is surprising, shall we say, meta-convergence on the very idea of a virtuous character, and even on several of the traits that count toward that goal. For instance, Plato (Aristotle’s teacher) only listed five virtues: courage, justice, piety, wisdom, and temperance. With the exception of piety — if you don’t believe in god-given morality — the list is hard to object to. The Stoics, however, seem to espouse what today is referred to as the doctrine of the unity of virtues, i.e. the idea that all virtues are really subsumed into a single fundamental one, which for them was prudence, meant as general wisdom. Skipping the Judeo-Christian-Muslim tradition, because of its emphasis on things like faith and purity, let’s move Eastward: according to the Hindu, virtues lead to a dharmic (i.e., ethical) life, the clear equivalent of a eudaimonic existence in Greek parlance. Hindus have different lists of virtues, the shorter one being: non-covetousness, inner purity, self-restraint, truthfulness, and non-violence. Again, I’m pretty sure it wouldn’t be too difficult to build a correspondence map with Aristotle’s desiderata. In Buddhism, the Noble Eightfold Path can be thought of as a list of virtues, although the brahmavihara sound more like what Westerners think of virtues: altruistic joy (i.e., being glad about the accomplishments of another person), compassion, equanimity, and kindness toward all. Going even further East, in Taoism the term De actually meant precisely virtue in the sense of integrity of personal character, and was later re-conceptualized as moral virtue. It is also good to bear in mind that Confucianism has a lot in common with Aristotelian virtue ethics, though it put more emphasis on family and socially-oriented rules of conduct than Aristotle did. Finally, in Japan the Bushidō code was based on a list of virtues: benevolence, care for the aged, courage, filial piety, honesty, honor, loyalty, rectitude, respect, and wisdom. Now, if you expect to see my own version of the list of virtues, I’m about to disappoint you. I think many of the above are actually interchangeable, and that it doesn’t matter very much which specific list one subscribes to, if any. The point of the whole exercise is the general idea that certain character traits identify some people as worthy of our respect, and that we wish to cultivate those traits in ourselves and in our children. Lest you be left with the impression that this is all so much philosophical masturbation, let’s bring in some science. Psychologists Christopher Peterson and Martin Seligman (yes, yes, I’m a bit skeptical of “positive” psychology too) did research on virtues across human societies (see their Character Strengths and Virtues: A Handbook and Classification, published in 2004 by Oxford Press). They grouped their findings into classes of virtues (Wiki version here): regarding wisdom and knowledge (e.g., creativity, curiosity, open-mindedness), courage (e.g., bravery, persistence, integrity), humanity (e.g., kindness, social intelligence), justice (e.g., citizenship, fairness), temperance (e.g., forgiveness, humility), and transcendence (e.g., appreciation of beauty, hope, humor). So, at the very least it seems like the concept of virtue (and, to a lesser extent, its specific content) is widespread across human cultures, both temporally and spatially. It can be studied by the social sciences, and it can be unpacked and — arguably — improved upon by philosophical reflection. Will any of this help you the next time you face a moral dilemma? And, more to the point, will it lead you to a satisfying, eudaimonic life? The proof, as they say, is in the pudding. But I’m tempted to wear a bracelet with the initials WWAD, rather than the more popular WWJD.